Nintendo did it, Sega did it, and even Neo Geo has done it. Now it’s Sony’s turn to jump on the classic plug and play console market, as they have just revealed to the world the PlayStation Classic. 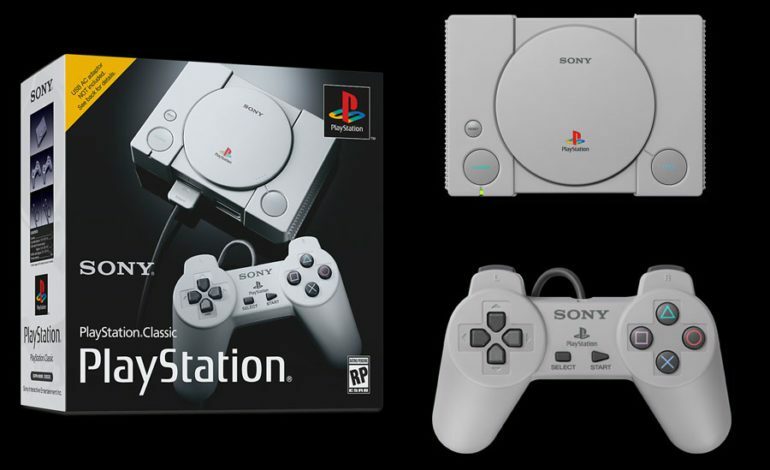 Packed with 20 of the best PlayStation One games, the mini version of the 90’s console stalwart will be available to the public on December 3, which is notable as it’s the original release date for the Sony PlayStation back in 1994. According to Sony, the mini version of the console will be 45% smaller than the original, keeping the same look as well. It will also utilize an HDMI cable connection, a USB cable for the power adapter (which will NOT come with the system), and two controllers based on the original style when they were first released. So far, the only games we have seen advertised with the system is Final Fantasy VII, Jumping Flash, Ridge Racer Type 4, Tekken 3, and Wild Arms. We’re sure to see more games revealed as we get closer to the release date. The system will cost $100.00 upon release, although expect that price to skyrocket once it makes its way to other sites such as eBay and third party sellers on Amazon. It’s no surprise that Sony wants in on the retro console craze. They have been generating huge sales number over the last couple of years, and Nintendo in particular has seen a large profit from their NES Classic and Super Nintendo Classic consoles. In June of this year, the NES Classic was the best selling console, beating out modern systems such as the PlayStation 4 and the Xbox One. Although this was mostly due to Nintendo re-releasing the system, the numbers don’t lie, and Sony took notice. The PlayStation Classic will launch on December 3 for $100.